Why Shop Hunter Douglas Gallery? 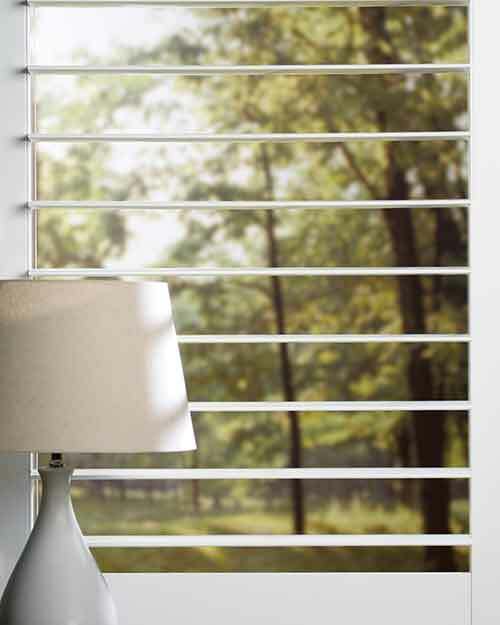 Hunter Douglas NewStyle™ hybrid shutters combine the look of real wood with the durability of man-made materials. 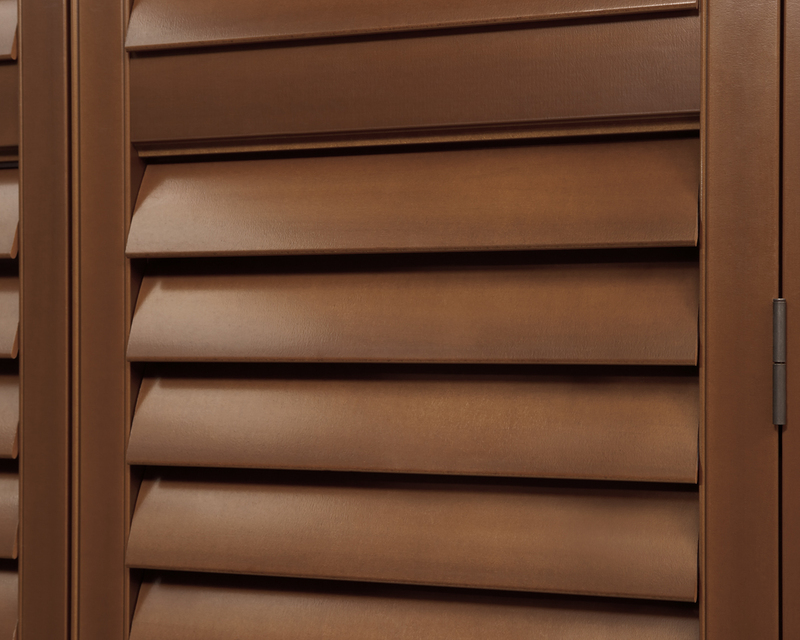 This shutter collection offers 10 different color options including 6 solid and 4 UltraGrain™ colors. 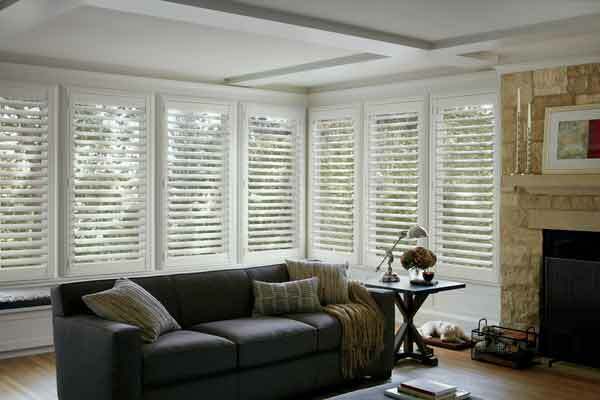 NewStyle™ hybrid shutters are easy to care for and are a great alternative to hardwood options. The Crosslink™ construction system is designed to resist warping and bowing. Dovetail joinery construction provides strength and durability. 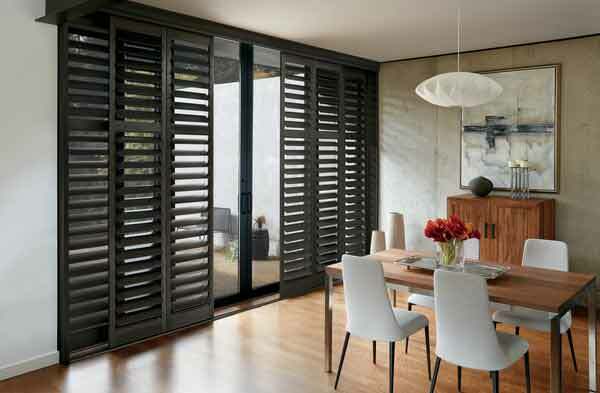 At Home Designs is ready to assist you in choosing from a wide selection of Hunter Douglas custom shutters. Our Hunter Douglas specialists will guide you to select the materials right for your home, style and budget. 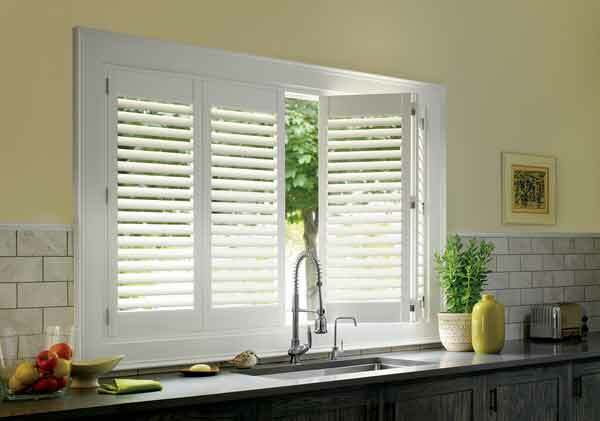 Hunter Douglas NewStyle™ hybrid shutters come in 2 1/2″, 3 1/2″ and 4 1/2″ elliptical louvres. Hunter Douglas NewStyle™ hybrid shutters offer three framed or unframed rectangular systems including the Standard Hinged Panel, Bi-Fold Track, and Bypass Track systems. Click on the photos below to see examples of each system. Seeing is believing. Watch the video below to get a feel for the beautiful and versatile options available with Hunter Douglas Shutters. At Home Designs is ready to help you navigate the choices to find the perfect solution for your home. We have a passion for quality, comfort and detail; we love what we do. Above all, your comfort is what matters to us. So come on in, and make yourself At Home. We invite you to stop by our decorated showroom located in Hockessin, Delaware. 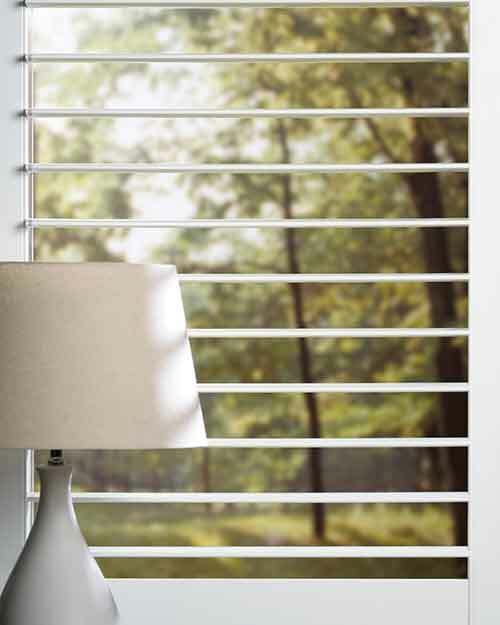 We are a Hunter Douglas Gallery dealer with the full line of blinds, shades and shutters on display. 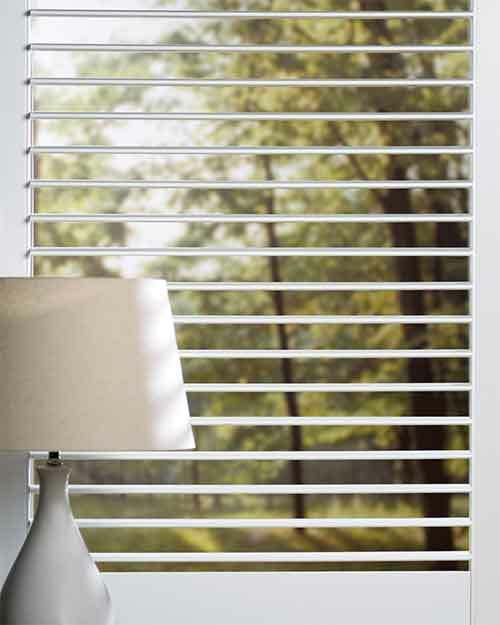 Touch and operate window treatments in a variety of styles. We specialize in the design, fabrication and installation of home interiors including custom window treatments, shutters, blinds, shades, custom furniture and reupholstery, paint and wallcoverings. Book an appointment today.